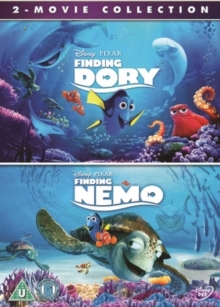 Double bill of Pixar animated children's features. In 'Finding Nemo' (2003), motherless clownfish Nemo (voice of Alexander Gould) is carried away from his home in Australia's Great Barrier Reef. 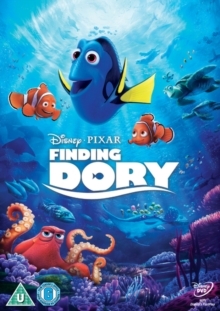 His overprotective father, Marlin (Albert Brooks), and Dory (Ellen DeGeneres), a friendly but forgetful regal blue tang fish, go to his rescue. 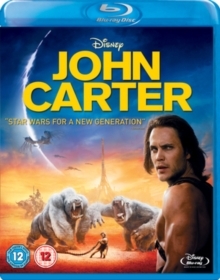 The two embark on an adventure that leads to encounters with a range of colourful characters including Bruce the Great White Shark (Barry Humphries), a sea tortoise called Crush (Andrew Stanton) and a pelican called Nigel (Geoffrey Rush). In 'Finding Dory' (2016), Dory unexpectedly remembers something about her childhood which leads her on a journey to find her family. Accompanied by Marlin and Nemo (Hayden Rolence), Dory leads the group to California with the help of powerful water currents. 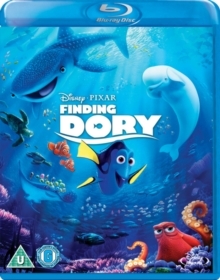 However, after venturing to the surface, Dory is captured and sent to the nearby Marine Life Institute. 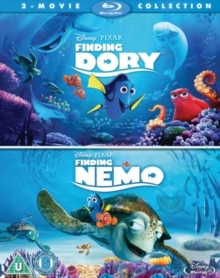 With Dory in quarantine, Nemo and Marlin team up with seven-legged octopus Hank (Ed O'Neill) to launch a rescue mission.